From Toronto: QEW west to Hwy 10 (Hurontario St.). North on Hurontario Street to Burnhamthorpe Road. West on Burnhamthorpe Road to Living Arts Drive. North on Living Arts Drive. Or: Hwy 401 west to Hwy 10 (Hurontario St). South on Hurontario to Burnhamthorpe Road. West on Burnhamthorpe Road. North on Living Arts Drive. From Hamilton: QEW east to Hwy 10 (Hurontario St.) North on Hurontario Street to Burnhamthorpe Road. West on Burnhamthorpe Road to Living Arts Drive. North on Living Arts Drive. Or: QEW east to Hwy 403 (by Ford Dr). East on Hwy 403 to Centreview/Mavis exit. Take Centreview exit to Duke of York. South on Duke of York to Rathburn Road. West on Rathburn Road to Living Arts Drive. South on Living Arts Drive. 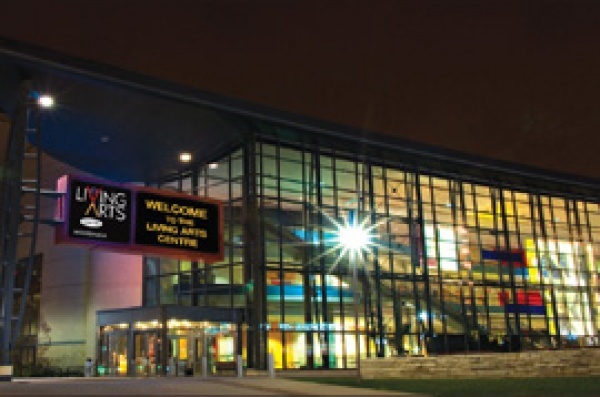 The Living Arts Centre has underground parking for 450 cars with access off Living Arts Drive. The underground parking is free for weekday after 6pm and whole day weekend. LIVE Cuisine Restaurant Located on the ground floor of the Living Arts Centre adjacent to the elevators, LIVE Cuisine offers diners an enjoyable experience with an exquisite taste of the arts Complimentary. You may include here additional information about the venue, such as information about wheelchair-accessible seating, late seating, coat check, catering, etc.